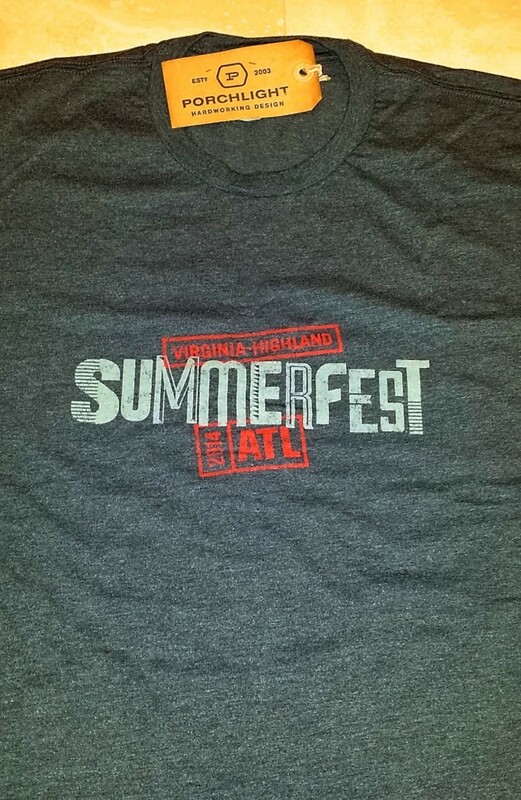 Just to get you a little more in the mood for Summerfest – which, if you didn’t know, is this weekend – we thought we’d give you a glimpse at some of what will be for sale at this year’s Summerfest Store. 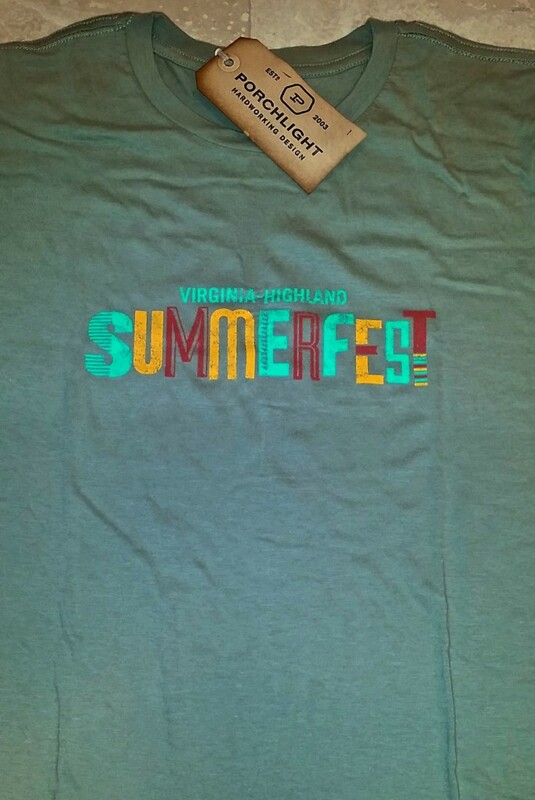 In addition to the Men’s and Ladies Summerfest t-shirts featuring the 2014 logo, this year we’ll be featuring a collection of historic Virginia-Highland maps and photos suitable for framing. 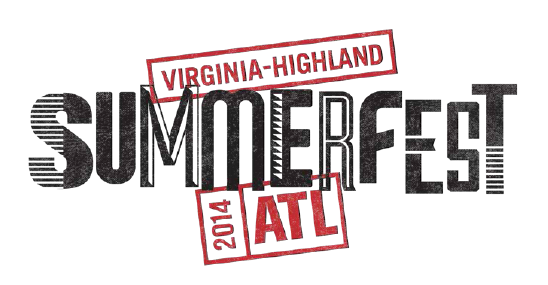 Our creative crew has also come up with a couple of fun posters featuring our new VHCA logo that we think you’ll enjoy. Signed copies of History of Virginia-Highland, written by VaHi residents Karri Hobson-Pape and Lola Carlisle, will also be available. 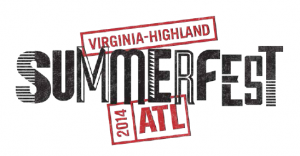 For increased convenience, there will be two Summerfest store locations this year: Booth #505 (south side of Virginia Ave., across from Maryland) and Booth #336 (north side of Virginia near Greencove – where the store’s been located the past few years). 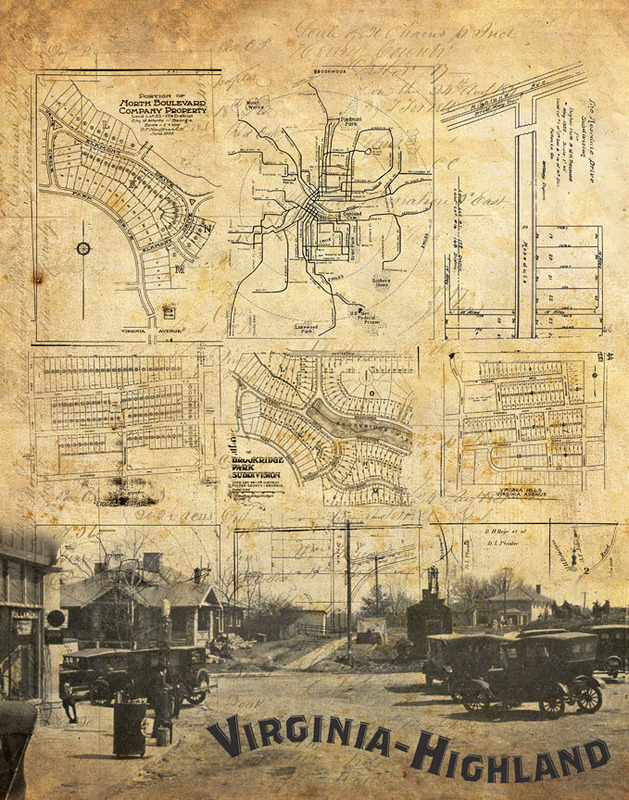 11″ x 14″ sepia collage of historic VaHi plat maps and images. 6″ x 24″ art print of the Virginia/N. Highland intersection looking west. 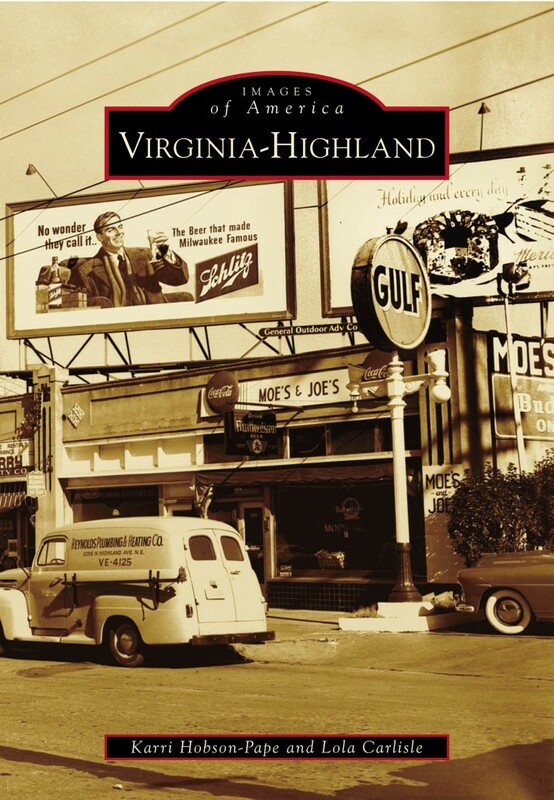 The land is being cleared by oxen for the development of the Virginia Highlands subdivision established by Ben R. Padgett, Jr. of L.W. Rogers Realty. Circa 1923. Courtesy of Tom Catron. 6″ x 24″ art print of the intersection of Virginia/N. Highland looking north. Unknown date. Courtesy of Larry Santiago and Bonny Valente. VaHi poster featuring new VHCA logo. Be sure to stop by the store to see an awesome second poster our creatives came up with that we’re sure all hard-core VaHi aficionados will love.